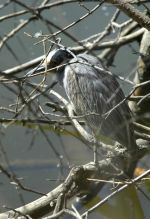 Yellow-crowned Night-Heron in McElroy Park, Jamestown ND - 7:10 AM, May 7th, 2010. Found and photo by Mark Otnes. Taken: 2010-05-07 Just south of McElroy Park in Jamestown, ND. It was just south of the tar road that goes to the concrete buffalo where the water flows over the road. 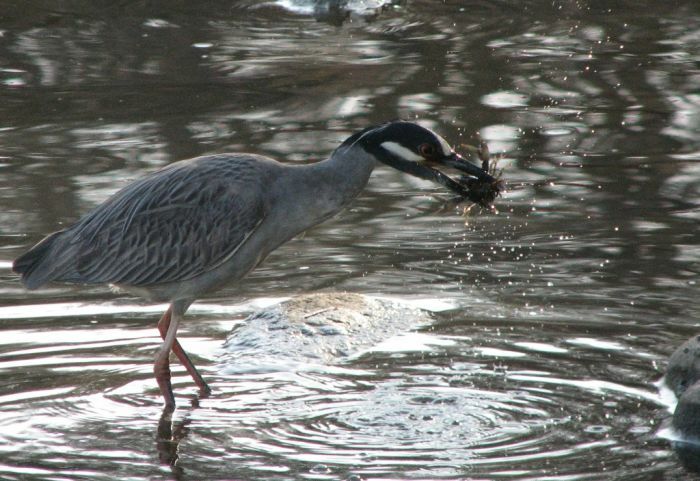 Yellow-crowned Night Heron, with supper! 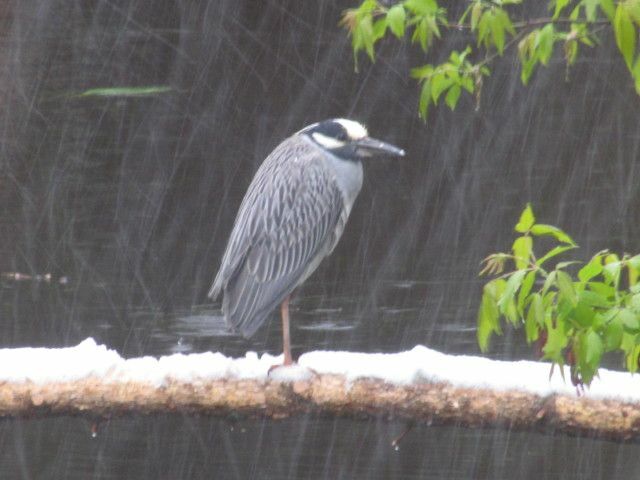 Photo by Amanda Bryson of the bird present in Valley City. 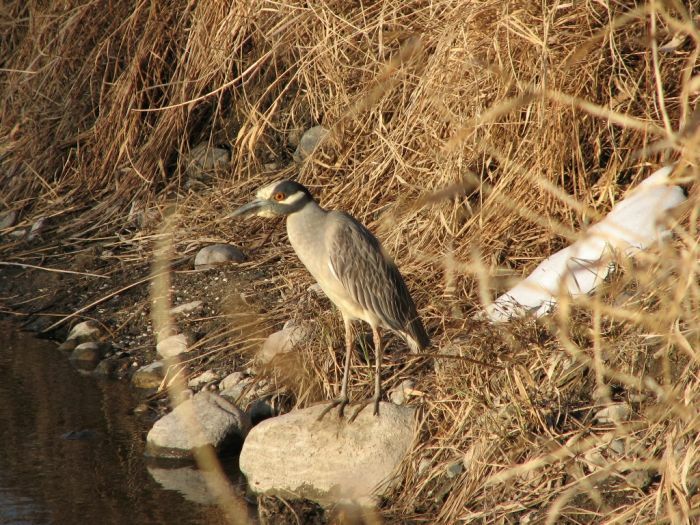 Yellow-crowned Night-Heron along the Sheyenne River in Valley City. Photo by Patrick Beauzay. Thanks to Bob Anderson and his student for this bird! Seen by many. The picture was taken by Bob Anderson at the Little Dam in Valley City, ND. 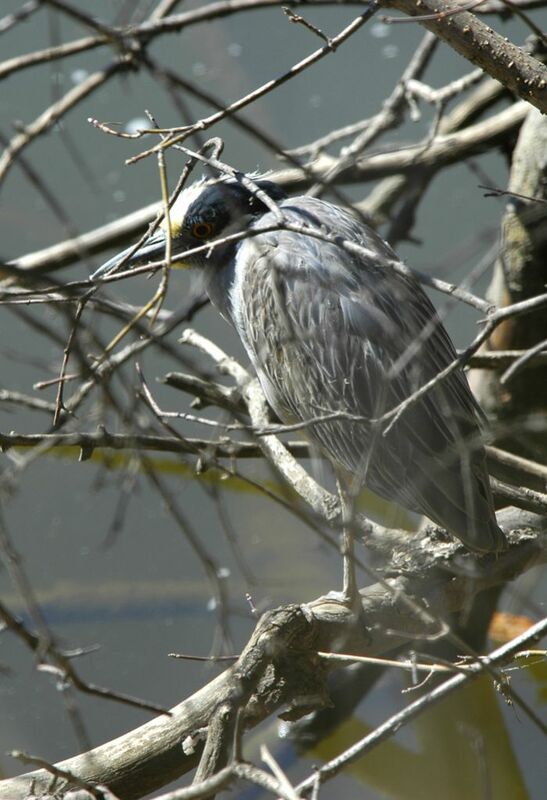 Bird was first located and reported to Bob by a VCSU student.